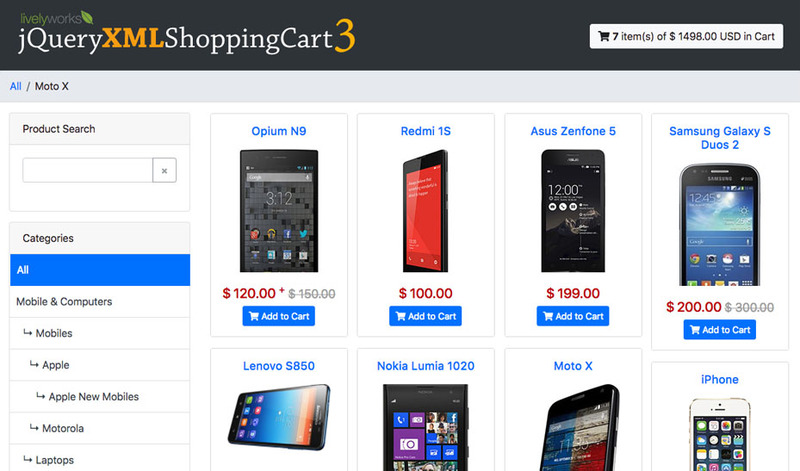 Product Options – Having support for unlimited product options with Addon price. Taxes – Can have default tax rate or can be per product. 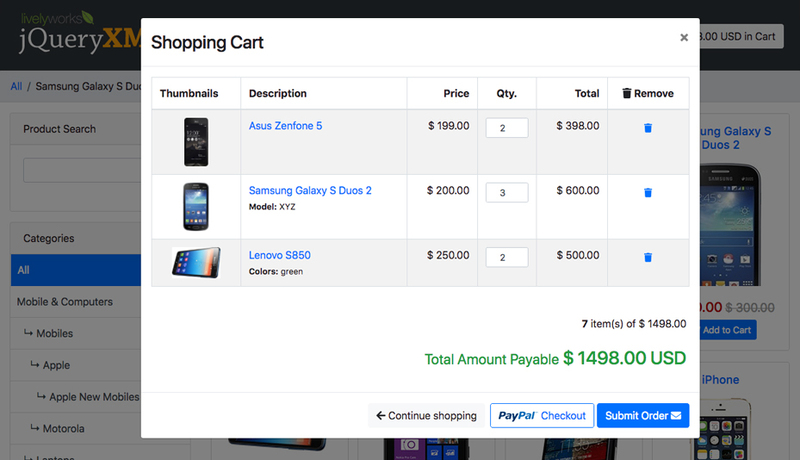 Shipping – Can have Base shipping charges, additional changes can be added as per product. 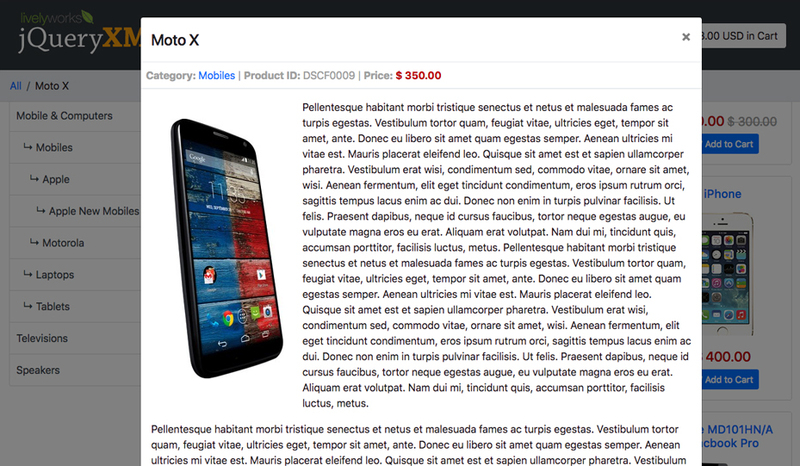 Fully XML Driven Shopping Cart. Unlimited items can be displayed. Simple yet Attractive and easy to use!! Added Instant Add to Cart without opening details. Custom multiple options can be added now, Earlier only size & colors options are available. Now you can have unlimited options with Addon prices. 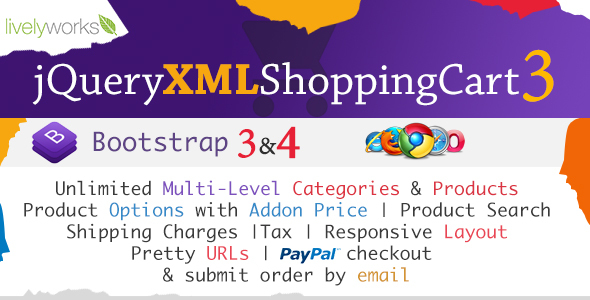 Please Note: Submit order by email uses PHP mail function which works on PHP enabled servers. We also provide Installation & Customisation Services.